Quezon City– Out of five women, three have experienced sexual harassment in commuting within Metro Manila. According to a new research, “Baseline Study on How safe are women in our city streets”, commissioned by then Quezon City Local Government and United Nations Entity for Gender Equality and Women's Empowerment (UN Women). What's even more alarming is that one in three of these women experienced the worst forms of sexual harassment such as witnessing a male masturbates and rubbing or groping (panghihipo) inside the MRT/jeepneys.. 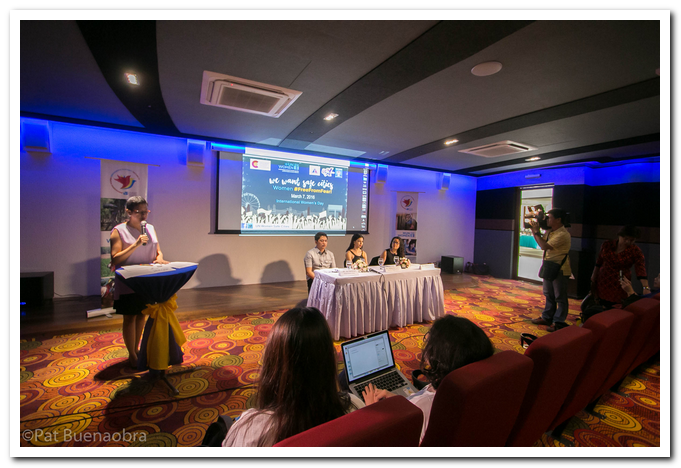 In lieu of the Street Harassment and Sexual Violence Against Women and Girls (SVAWG) in public spaces, the LGU and UN Women held back-to-back events to commemorate International Women’s Day (#IWD2016) as well as to kick-off the celebrations in March as the National Women’s Month. The first press conference was held at QCX Museum where the research has been launched. 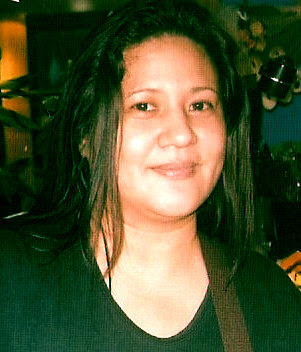 It reveals the amendment passed by the Local Government of Quezon City to Gender and Development Code in the increase of the penalty of sexual harassment and sexual violence against women in public spaces to a range of one to five thousand pesos (Php1,000 to Php5,000) for the varying severity of offenses. Due to shame or fear, traditionally, women ignore and keep silent the catcalls, wolf-whistling, stalking, repeated harassment for their numbers, even bearing indecent language being yelled at them by men as they walk by. Women experience all these forms of sexual harassment as they move about in the city, using public transport, terminals, markets/malls, and even just walking home in their own neighborhoods. During the press conference, while they were discussing the problem of the frequent street harassment, De Castro observed, "We know about it, we are offended by it, but we don't know how to prevent it." The research reported that eighty-eight percent (88%)of women aged 18-24 years, have experienced some form of sexual harassment in their lives, but more than half do not report or do anything about it. 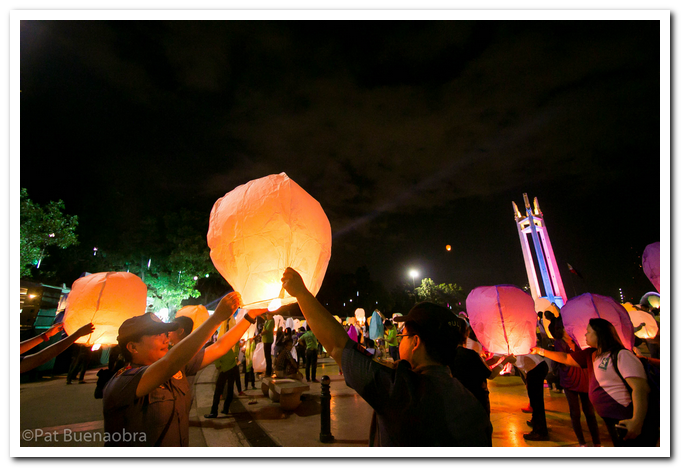 The second event was a grand assembly of 1000 supporters who released sky lanterns to light up the Quezon City skyline and called for safe cities where women are free from fear and free from all forms of street harassment and sexual violence. It was a visual spectacle where supporters of women’s right to safety in the city banded together to celebrate the spirit of community fighting to stop street harassment of women. Hosted by PTV4’s Good Morning Boss talents, Jules Guiang and Karla Paderna, the event was graced by musical performances from Cooky Chua and Bayang Barrios.